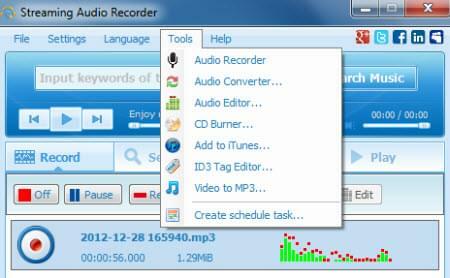 Sound grabber is best defined as a tool, may be available as software or for online access to convert audio/video files into mp3 format. The best use of a sound grabbing tool is not in the audio file only, but you can also grab audio from a file in a video format such as *.mpeg, *mpg, *.dat, *.rm, *.rmvb, *.avi, *.asf, and many more video formats. The basic intent behind grabbing sound is to allow users to find a convenient and optimum way to find and use audio mp3 files. If you cannot find the audio version of your favorite video, you can just use a free sound grabber tool and grab sound in the mp3 format or whatever formats that the tool allows. The first one on the list is a free online app called Mp3 Grabber. The site welcomes you with an impressive design and straight forward interface. A bold search bar prompts to enter the video link or the keywords you want to search the audio for. Once the link is given as an input or then when the user finds the appropriate file for grabbing sound, just click the GRAB IT button and the tool will guide you through the simple process. The free sound grabber tool also provides suggestions to the users in the form of well formed categories like: Recent downloads, Today’s hottest and Always popular. In the sidebar, a step by step “How to use” tutorial is given which ensures that the user never makes the wrong click and is always on track. Moreover, the best feature of the tool seemed to be its availability in different languages. The site functions in 8 major languages and there is a forum that aims at solving even miniscule issues that the users post. Now we shall introduce a powerful sound grabbing share ware – Apowersoft Streaming Audio Recorder. This software is available in two packages i.e. Free trial and Full version, with full version obviously providing extended support and lifetime validity feature. Unlike any ordinary sound grabber, this shareware comes packed with high quality features which have been applauded and endorsed my many tech sites and individuals. Using this sound grabber, you can convert the audio present on your hard drive in any audio extension you want and also select the bit rate and the quality of the audio you want. You can freely grab audio from sites like YouTube, Vimeo, Dailymotion, and others at will. A complete product software also includes a very useful feature named Audio Editor which can come in handy most of the times. 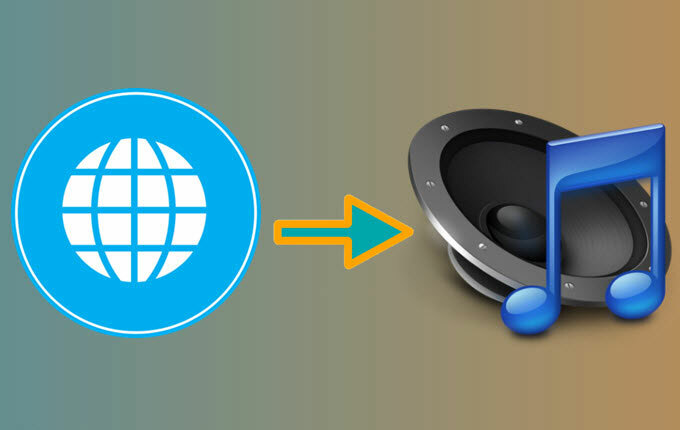 This software supersedes any ordinary sound grabbing tool or online app by providing iTunes connectivity and it also offers hundreds of radio stations to grab audio from and listen to them whenever you want. So, this concludes our discussion today on sound grabbing tools and we have introduced two of the most used and trusted audio grabbers. Both of these are accurate and have a relatively easy to use interface. Either of them can be used as per convenience. While the former is for beginner and basic usage, the latter solves specific issues and is recommended for advanced users.